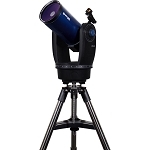 Designed, engineered, and built for research-grade work, the Meade Instruments LX200-ACF 406mm f/10 Catadioptric GoTo Telescope represents the largest aperture in the series to yield bright and clear views with the capability to reach far into deep space. Outfitted with a large 406.4mm (16") oversized primary mirror, the optical path is made in Meade's proprietary Advanced Coma-Free (ACF) hybrid catadioptric lens/mirror/corrector plate configuration, with their Ultra-High Transmission Coating (UHTC) system. The ACF and UHTC work together, along with the large light bucket and long focal length, to produce images with virtually zero distortion, off-axis coma, fringing, astigmatism, or other aberration across the entire field of view and with accurate high-contrast colors. 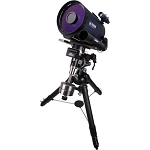 Ideal for astrophotography, the LX200-ACF is outfitted with a single-speed internal focuser for manual coarse focusing, plus an electronic zero image-shift focuser that can make micro-adjustments to achieve tack-sharp images and hold them in place without the backlash common in many conventional focusing mechanisms. Complementing this precision focus control is a primary mirror lock that prevents any focus adjustments during long-exposure photography or observation sessions. Controlling the mount and focuser is the Autostar controller. This full-featured GoTo system has a database of over 145,000 objects with multiple custom guided tours — including audio tours via its built-in speaker. Complete with variable slew and tracking rates, plus autoguider compatibility, the Autostar helps to unlock the true potential of the optical tube assembly (OTA). 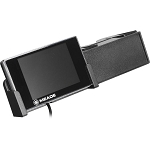 Its dual-tine motorized fork mount is outfitted with a 16-channel GPS receiver that transmits accurate day, time, and location to the Autostar hand controller, and True Level and True North sensors assist in accurate setup for more precise alignment as well as GoTo and tracking accuracy. 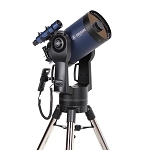 Meade offers the LX200 here with just the OTA and mount, for users who already have a heavy-duty tripod or a permanent pier to support the massive 245-pound weight. 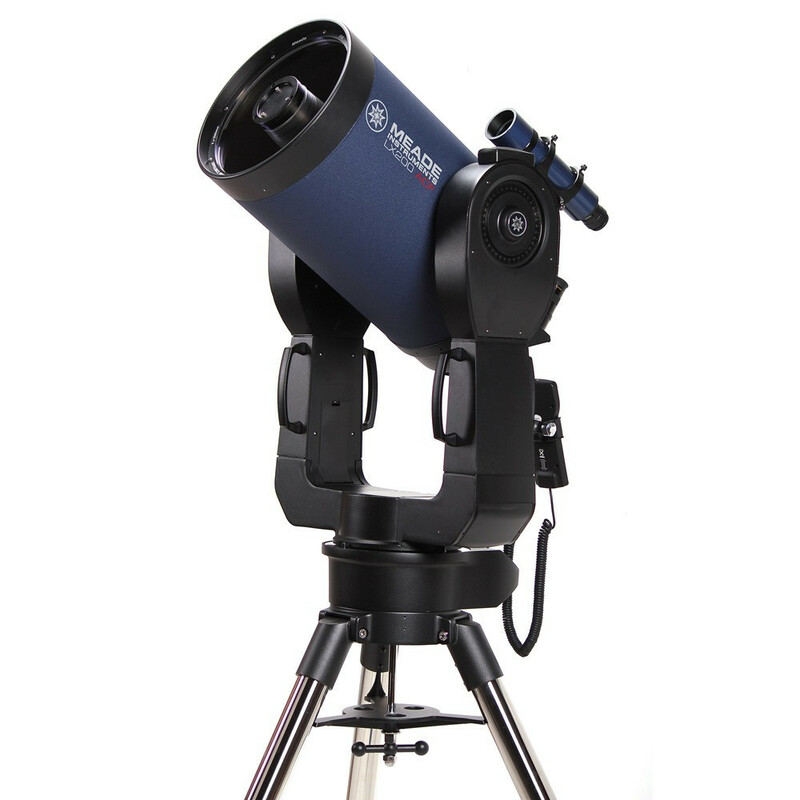 Meade makes the LX200 ready to go out of the box by including a 2" 90° dielectric star diagonal, a 1.25" reducer adapter, a moderate-magnification eyepiece, and a large 8x50 finder with quick-release bracket.